Really nice results. Large projects to minor jobs. They do it all. All kinds of maintenance finished fast. Nice and seasoned local crews. Free job quotes. Affordable rates. Your room will be great when it is over. Are there brand new ceilings and walls in the near future at your SoCal home? Or maybe you have a wall or ceiling that doesn’t look great any longer. You want them fixed. These are competent ceiling and wall installers. They regularly work on several types of different job assignments. Some are in new construction; a good many others are repairs and remodeling. 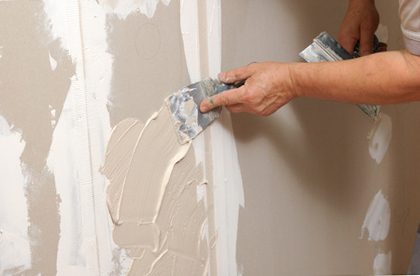 Restoration jobs can involve patching holes or removing and replacing damaged parts of sheetrock. And they work for homeowners, business owners, building contractors and property managers. 1. Truck the gypsum drywall sheets to the work area. 2. Install the sheets onto the walls and ceiling. 3. Clean up and take away garbage and extra product. 4. Tape the joint seams between sheets and apply joint compound to every taped area and screw head. 5. Smooth, finish, sand and apply some texture to the surface areas. Once these actions are complete, the new ceiling and wall areas are ready to paint. In most instances, they will do all the activities, from beginning to end, but once in a while a property manager would like them to work on only one or two of the steps. As an example, garages and work rooms will often be left unpainted, so the last steps of sanding and texturing might be skipped. If you want to install it by yourself, you can have them show up later and take care of the seam taping, mudding and sanding work. Along with standard sheetrock, they can also put in a stronger backer board material on the walls where you will be placing tile. They also have moisture resistant boards they put up in humid and wet areas. They have the flexibility to get your job done. There’s lots of ways someone could unintentionally make a hole in their wall or ceiling. And there are a great deal of places where a plumbing component could develop a small leak and eventually wreck someone’s ceiling. A homeowner could try and repair one or two minor holes if those holes aren’t in any real prominent space. Minor holes are covered with patches and a layer of joint compound. A wall patch is an easy operation, but it takes a little practice to figure out how to do it so it looks good. Lots of patch jobs do not come out looking so good. And the larger they are, the tougher they are. While you should certainly undertake small wall repairs, we advise getting a pro come in and take care of the bigger repair jobs or handle wall or ceiling patch repairs which are in the primary, public rooms of your home. The surface of your repaired or new ceilings or walls are textured to match the surface of the existing ceiling or walls. What’s Your Property Repair Situation? Patching or repairing a simple hole or crack. Getting one or two unattractive or broken interior walls or ceiling fixed and all ready for repainting. Removing and swapping out sections of damaged drywall. Engaging in big size removal and replacement of an entire room or maybe more. Regardless of how small or big your project is, they want to help you out. Totally unfinished surface – only taped, suitable for non-finished work or storage areas or garages. Smooth finish – zero texture, all ready for paint or wallpaper. Simple texture – offers a little bit more depth. Complex texture – requires additional troweling and more difficult to get done. Texture match – make your new surfaces match with your existing ones. Some individuals dislike popcorn ceiling surface texture. They can scrape it off and replace it with a more contemporary looking surface. They are on the list of leading local commercial drywall contractors. If they are hired to work for you, they want you to like the final results, the job process and the price. They use good-quality materials, along with the best tools and safety equipment, so they will get your job done as quickly, and as safe, as they can. Home remodeling projects can create dust and clutter. Their crews do their best to hold both to a minimum when they’re in your home. There is no mess for you. They know how to clean up after themselves and take away the excess material and garbage. While they carry out a lots of remodeling projects for homeowners and business property managers, they also are working with new construction projects. 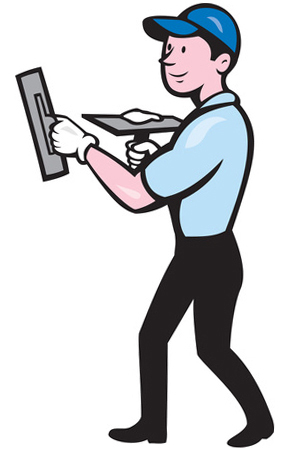 They work for any person, from individual homeowners to commercial building managers. Most projects are not exactly alike, but they can develop a quote for your project. Your job cost will be based mostly on two things – the amount of material they use and how many hours it will take them to finish the project. While they can’t usually drop by a prospective project site and deliver a quote in person, they will frequently supply a pretty good estimate if you give them a quick call. If you don’t have somebody lined up for the painting stage of the process, they can take on that job and get it done for you too. Some homeowners would like to do all their painting. Others like to hire a different painting contractor. Whatever you want to do is cool. What Sections of the City Do They Work In? They do plenty of projects around the metro, often in Hollywood Riviera, North Torrance, Walter, West Torrance, Old Town Torrance or other areas north or west of Long Beach. Service is available in the nearby communities as well – Carson, Manhattan Beach, Redondo Beach and Rancho Palos Verdes. Just make a quick call if you’re anywhere around the metro, such as Hollywood Riviera, North Torrance, Walter, West Torrance, Old Town Torrance or other areas west or north of Long Beach. TLCDrywall.com is an informational website only. TLCDrywall.com does not provide any direct drywall or construction related services. Viewers of the website who call the listed phone number may be transferred to a company close to their zip code. Copyright ©2019 TLCDrywall.com All Rights Reserved.